EXO's Chen is currently under fire for comments he made on a recent 'V-Live'. Yesterday, EXO-CBX streamed live via Naver's 'V-Live' for their recent comeback. However, while playing games and fooling around, Chen made some comments that caught the attention of viewers, especially international fans. In the video clip below, at approximately at 24:50 mark, he is seen saying, "I look like Michol," as dark lipstick was being applied to his lips, making it appear to be bigger than it actually is. 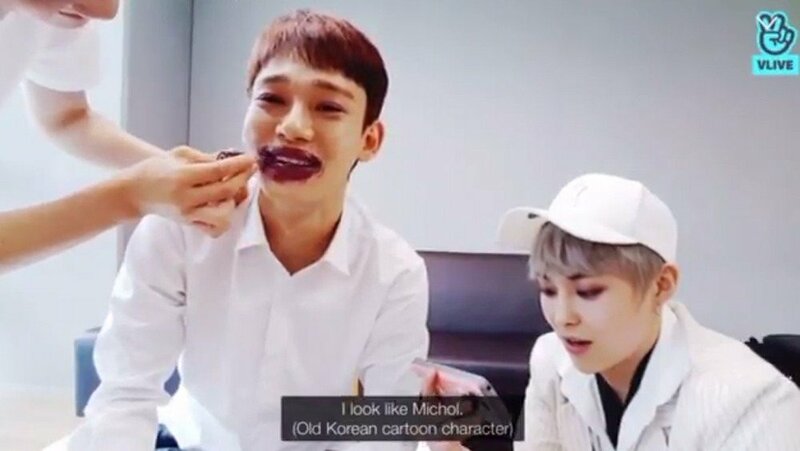 Michol is a fictional cartoon character from 'Dooly the Little Dinosaur', and although the character is South Korean, he is often criticized as blackface caricature. 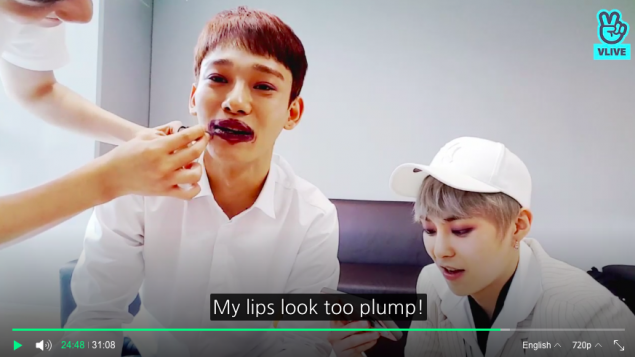 Another thing people have noticed was that at the 24:48 mark, Chen makes a comment that reads, "My lips look too plump" under the English subtitle. However, what the viewers who understand Korean heard was, "Isn't this Kunta Kinte?" and once the Korean subtitle was applied, the same statement of "Isn't this Kunta Kinte? (?? ???? ?????)" could be read. Kunta Kinte is a character from the novel 'Roots: The Saga of an American Family' and according to the author, is based on one of his ancestors who was enslaved and taken to America, a mixture of both fiction and non-fiction. 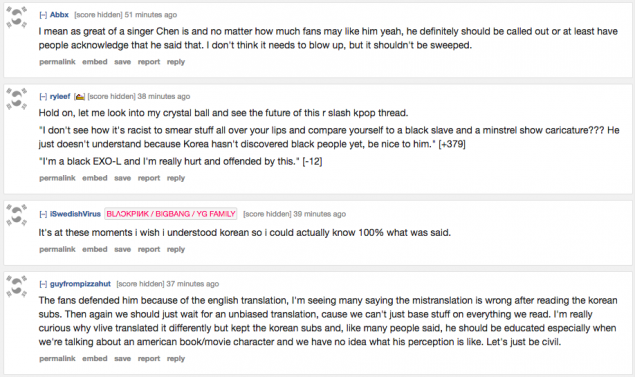 Since making this controversial statement on air, Chen has been receiving mixed reactions; while some are criticizing the statements made by the idol, some are defending the situation. Below are some of the comments that can be found online. im not dropping exo or jongdae, if they ever make a mistake I want them to take responsibility for their mistakes and learn from it bc I love them and I care about them so much and all I want is for them to become a better version of themselves and exo-ls can help and learn too. 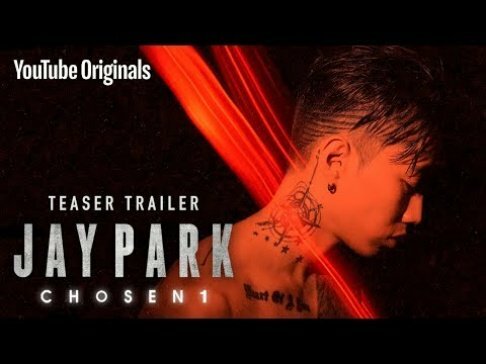 I like your post Please help me and visit my website free dvd player download windows 10 thanks for sharing with your friends.